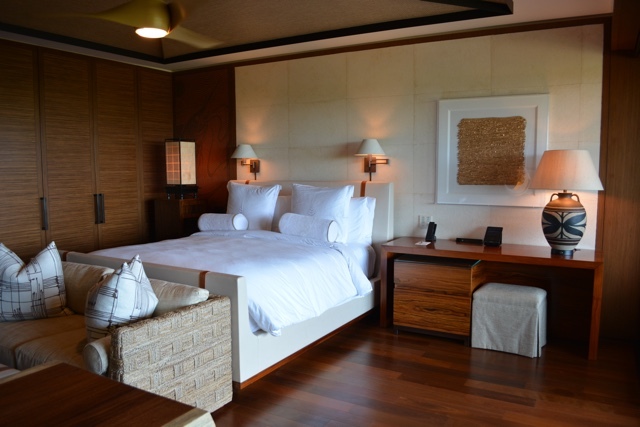 The Four Seasons Resort Lanai in Hawaii is one of the most exclusive hotels in the world. Owned by billionaire Larry Ellison who also happens to own 98% of the entire island of Lanai. Once one of the worlds largest pineapple plantations this beautiful Hawaiian island has now been turned into a place of adventure, luxury and relaxation. 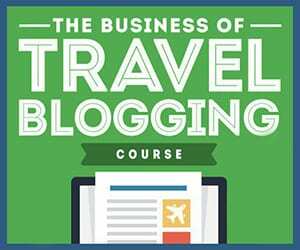 Luckily I was able to stay here and I quickly learned that this hotel is different from many others. Even though there are lots of other guests you still get the feeling of almost having the place all to yourself. Most importantly I never once had to get up early to fight for a chair near one of the pools. That to me is amazing. One of the most convenient things about the property is that the room keys are a bracelet with a fob built into it. It makes it easy for getting into your room and you never have to worry about losing your room key. They are waterproof as well so perfect for wearing during any activities that you might be doing. Bonus points for them as they clean, recycle and reuse them with each guest. I stayed in a garden view room with a view of sunrise each morning and the sea cliffs in the distance. To the right there was also a partial ocean view. It came with a comfortable king sized bed, lots of closet and drawer space, a large flat screen TV, and a fantastic fish lamp. The part that excited me most however was in the bathroom with the built in TV in the mirror and the robotic toilet. There are two pools, the Retreat pool (adults only) and the central pool for all, both with complimentary towel and water service. They actually bring you your own mini keg of water, this is so smart of them. 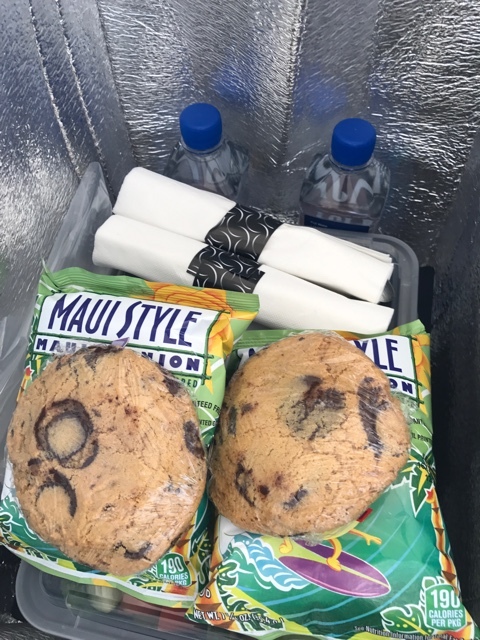 Aside from having full drink and food service at the pool, staff also came by often with other things on offer. They offer a sunglasses cleaning service, bring by mini popsicles, shots of fruit smoothies, fruit skewers and more. The property is also located on a beach with a designated swimming area and complimentary water and towel service on the beach. Hulopoe Bay is a protected nature reserve and named one of the top snorkelling destinations in the world. If you are lucky you might also see some spinner dolphins or even breaching humpback walls offshore in the winter months. Aside from hanging out on a lounge chair by the pool or beach you can also reserve and hang out in a pool sanctuary. 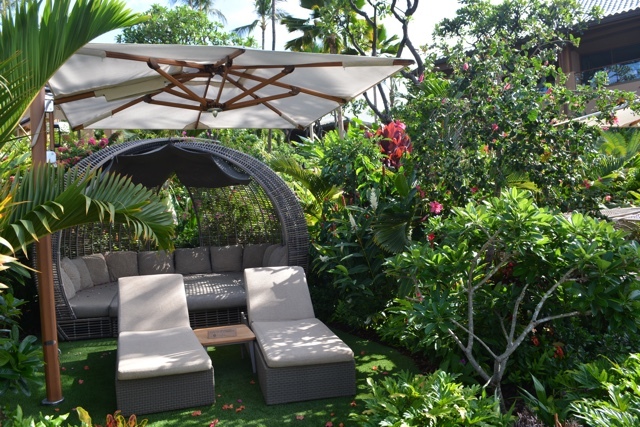 Essentially a private cabana of your own, close to the pool but hidden amongst the lush gardens giving you some privacy. You can also arrange to have a spa service by the pool like a scalp, neck and shoulder massage or foot massage. 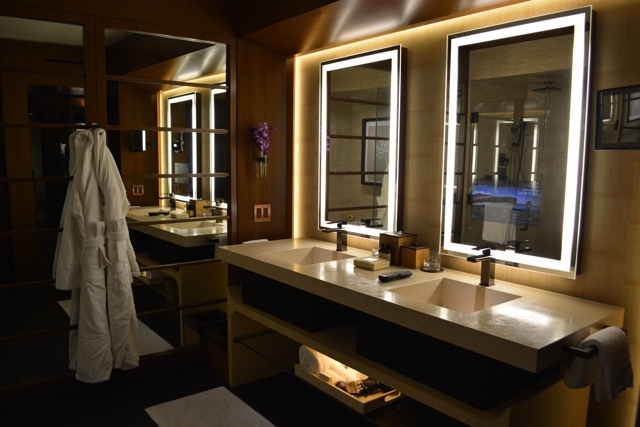 There is also a Spa that offers many services including the Lanai Tai signature scrub, various wraps and deep cleanses. Or you can take part in a mediation class and even take Tai Chi lessons. The hotel has a few options for dining on property. 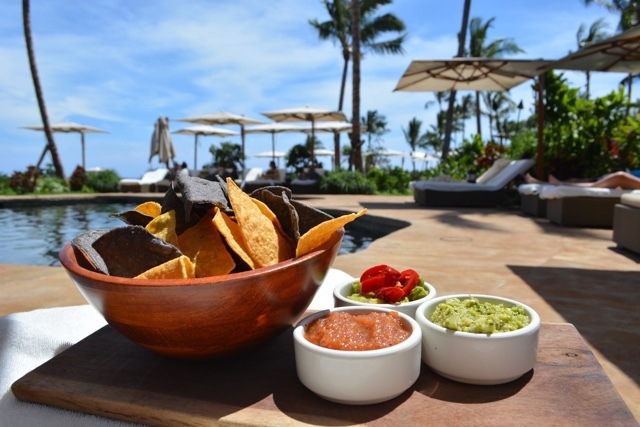 For casual dining you can dine pool side, visit the Sports Bar & Grill or grab lunch at the Malibu Farm restaurant at pool level. Much of the featured produce at Malibu Farm are grown on property and guests can take a guided tour of the harvest gardens. 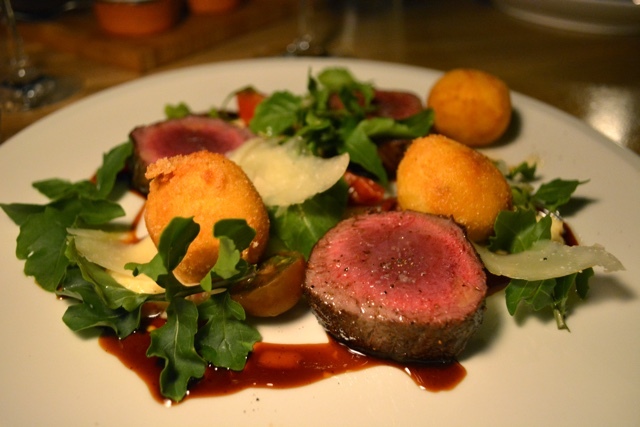 If you want to go a bit fancier there is restaurant One Forty featuring American steak and Hawaiian seafood. One Forty is also open for breakfast with menu service and an excellent buffet. For breakfast I had the traditional dish of loco moco. Typically made of white rice, a hamburger patty, a fried egg and brown gravy. 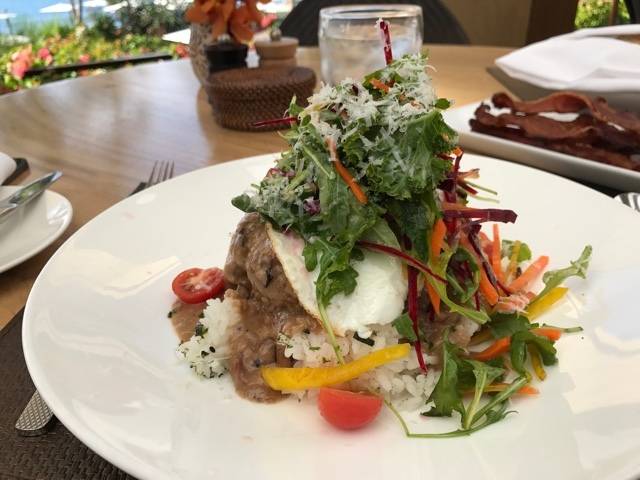 It is typically messy, but at the Four Seasons it is fancy and so delicious. By far the best loco moco I have ever had. If you want to go high class then of course you should dine at Nobu. Owned by celebrity chef Nobu Matsushia, this popular restaurant is known for its fusion cuisine of traditional Japanese dishes with Peruvian ingredients. Featuring delicious sushi and wagyu beef you can also be entertained by choosing the Teppan-yaki option. Guests are also able to get private in room dining service that is more than just food delivery but more of a full service experience in your room. With a six hour notice the property will also prepare delicious picnic baskets for your excursions. 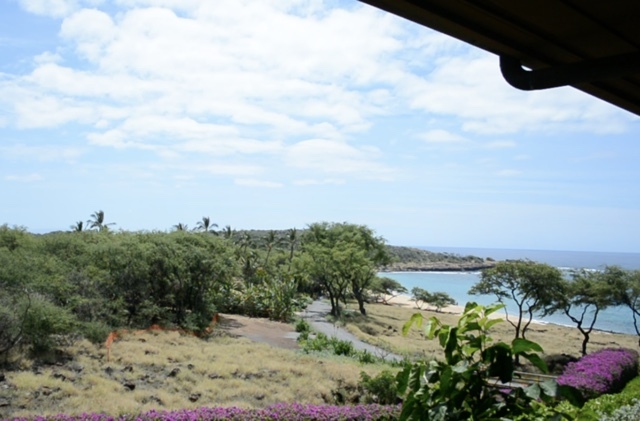 Located on property is a golf course called Manele. Fun fact Bill Gates was married there on the 12th tee. The golf course is open to all guests, and clubs are available for rent. There are also tennis courts on property and a gym. Yoga and workout classes are complimentary and available for all guests 12 and older. Private training and private yoga classes are available for a fee. You can also take part in the hotels cultural program and learn how to make a lei, learn how to play the ukulele, take hula lessons and also learn about the history of the island. 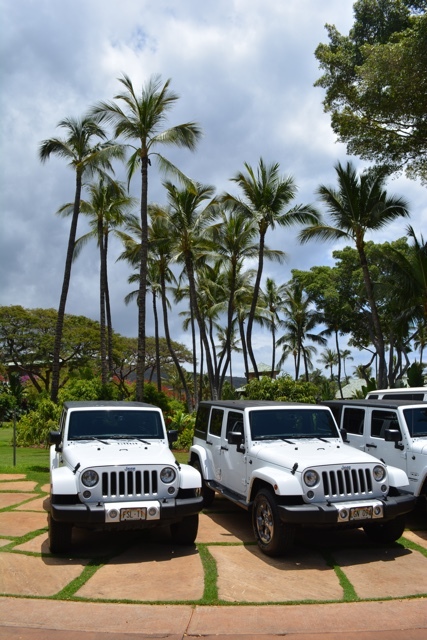 The hotel has Jeep’s available for rent, perfect for exploring the island. Some of the popular activities off resort are visiting Shipwreck beach to see an actual shipwreck. Also visiting the Lanai Cat Sanctuary, home to hundreds of stray cats that have been rescued. 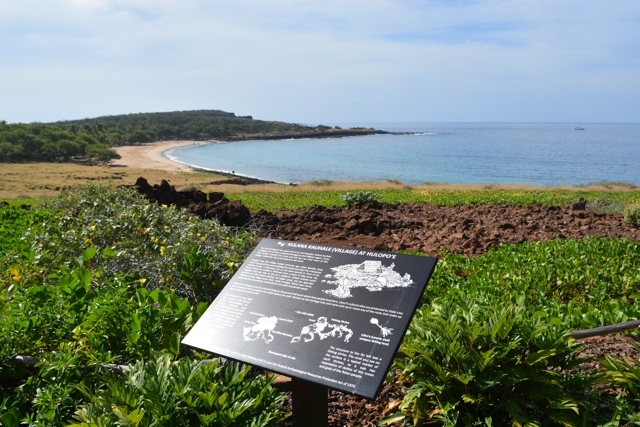 Lanai city is also near by perfect for grabbing a bite to eat, grocery shopping, buying some great souvenirs and checking out some great art galleries. Through the hotel you can also book whale watching tours, scuba and snorkelling tours as well as horseback riding, off roading trips and more. 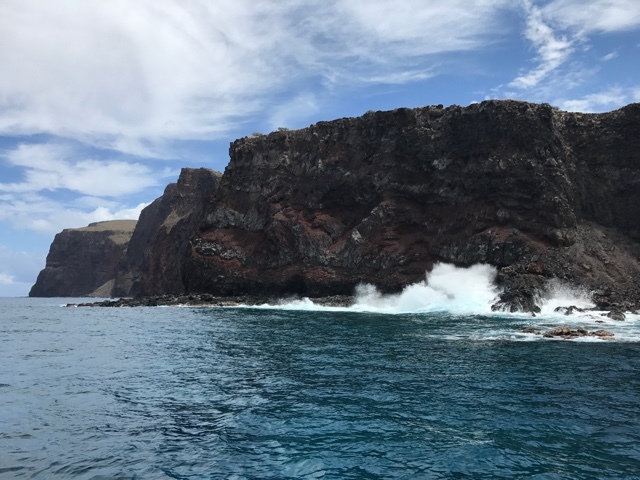 You can also arrange a helicopter tour to take you over Lanai and even over to Maui and Molokai. They also offer flight lessons too. You can either fly into Lanai or take a ferry from Maui. 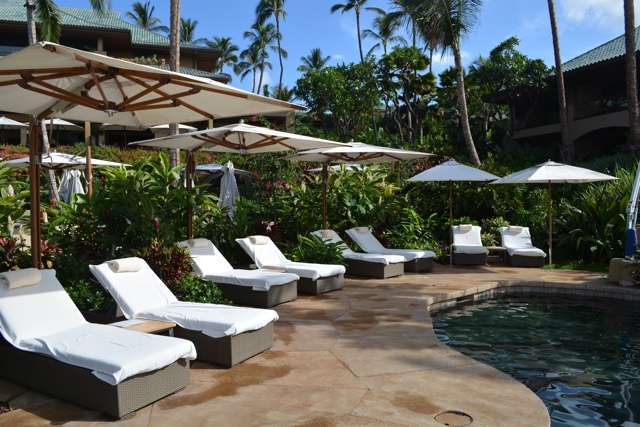 If you are planning on visiting Lanai I can definitely recommend staying at the Four Seasons, it might be a bit pricey but definitely worth it to spoil yourself. Thank you to #SeeLanai and the Four Seasons for having me. As always all opinions, views and full bellies are my own. 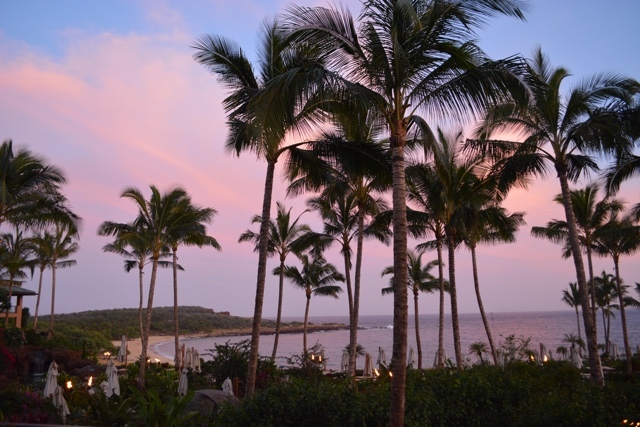 I would love to spend the holidays in Lanai in Hawaii at least one time. Beautiful pictures you captured, Thanks for sharing it.